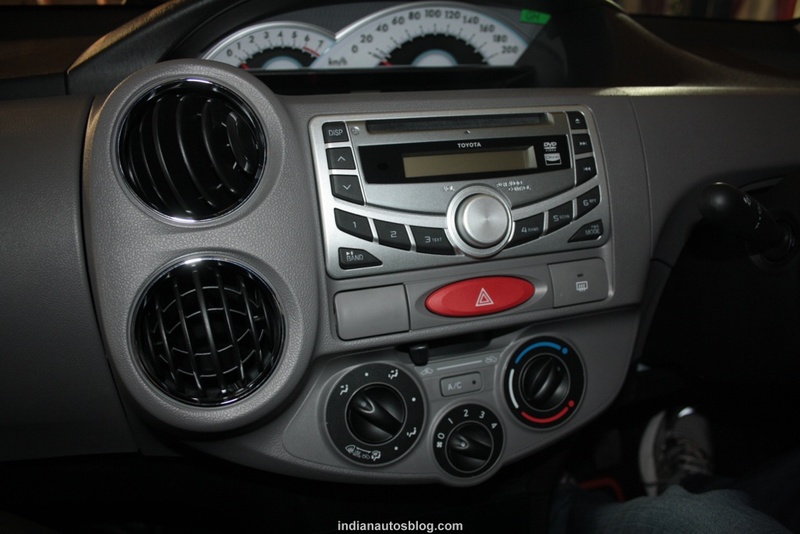 How is it like being inside the Toyota Etios? We haven't driven the Toyota Etios, but we're very eager to. Having experienced the comforts the car has to offer while it is stationary, we have somewhat formed a preliminary opinion. Many Indians are going to sit and feel the stationary car in showrooms and decide if they will drive it home. Many of them might have felt the same way about the car which we're going to discuss here. * Out of all the things in the world, why did they have to make it look like a Renault Logan? Making the car look curvy and giving Kim Kardashian red cheeks doesn't come cheap. Keeping the body panels flat helps in reducing costs. Flat doors and body panels are cheaper to transport since many of them can be stacked together. 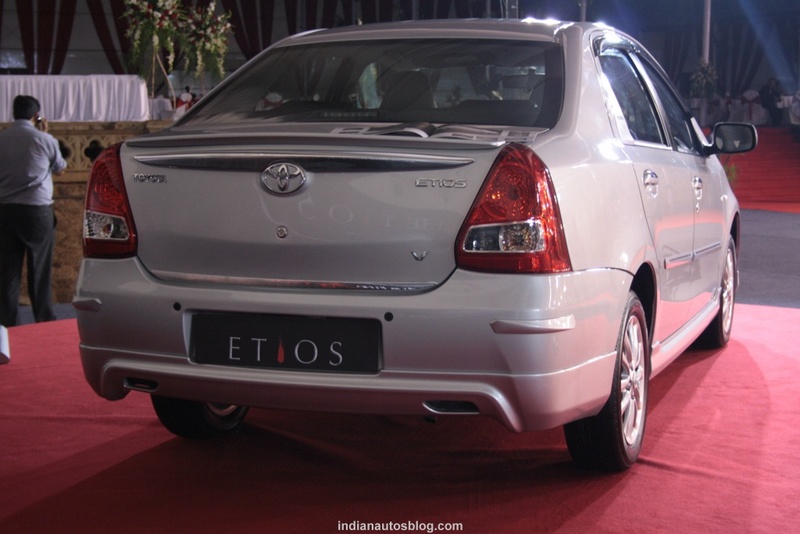 The Etios was designed right from day one to be an economical commute for Indian families. 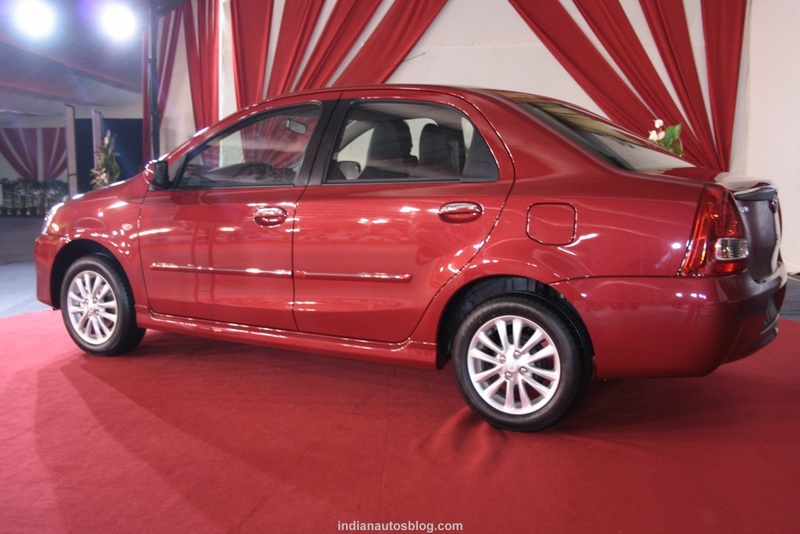 If you wanted a budget Bond car, the Toyota Etios isn't going to serve the purpose. But why have Toyota managed to make a Logan? The Logan is a very fine example of low-cost engineering, but Toyota could have designed a mini Corolla, with flatter body panels. There's no style in the Etios. Everyone loves style. * Why the hue and cry are Quality, when there isn't much of it inside the cabin? Frankly there are bits and pieces inside the cabin that come straight out of a commercial vehicle. The gray plastic is tacky. It reminded us of the journey we once undertook in a Tata Ace while our college bus broke down. The rear door panel was wobbling about, and with a little muscle, could have been dislocated. 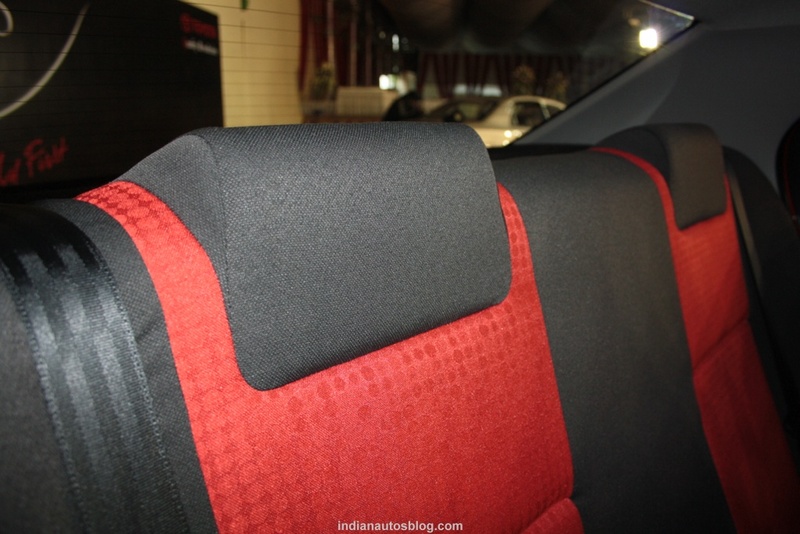 Even the top-end model shown at the launch had seats covered with felt. 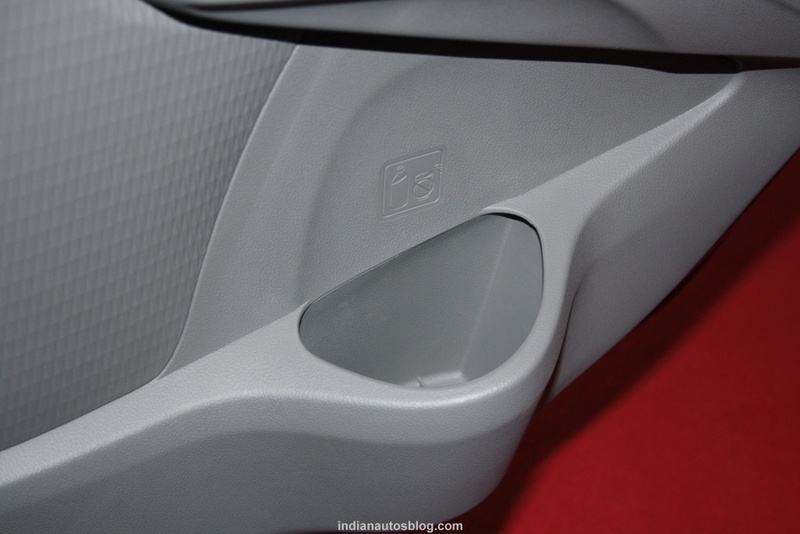 The center console looks like a sticker. The sound while closing the door wasn't reassuring. This is by no stretch of imagination a "Quality" cabin. This perhaps is the worst cabin in its segment. * Etios has one of the roomiest backseat. It beats cars in many segments above. There's no doubt that the Etios' back seat offers more comfort than any of its competitors. The headrests are placed high, there's enough thigh support for a 6-footer. The lumbar support is extraordinary. I have no doubts on its ability to seat three 6 footers, with two more in the front. 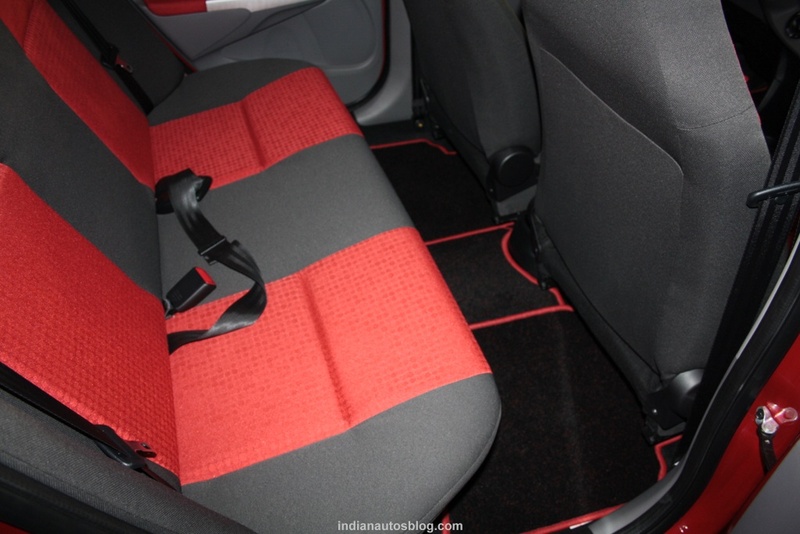 * Why compulsory red and black Interiors? Were these by request from DMK party workers? The red and black interiors you feel is very out of place. 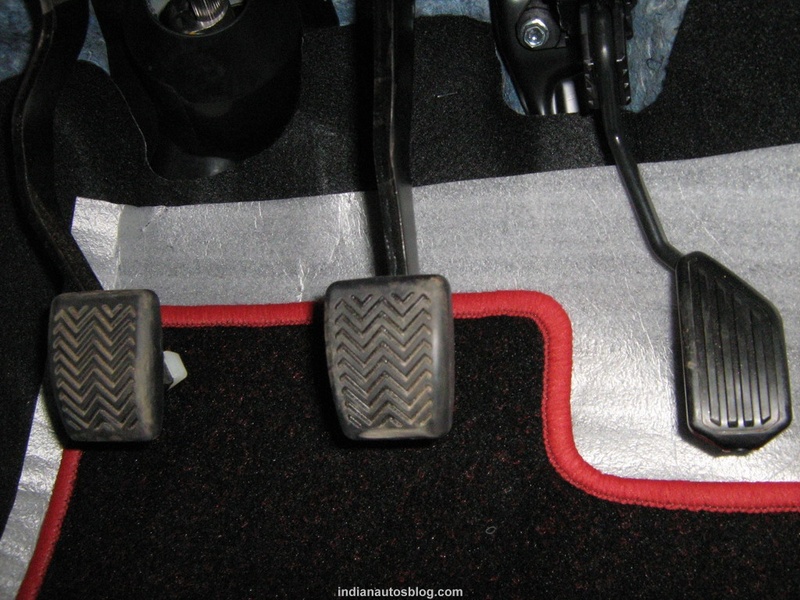 If the knobs were from a Gripen fighter jet, the dashboard trim from a carbon fiber factory and the seats from a Pagani Zonda, the red gear knob and door inserts would have suited the landscape. With unusual gray plastics and a funny speedometer in the center, the interior is funny instead of fun. * There are 6 bottle holders in the car. It is like a mini bar inside! There are enough bottle holders to throw a party (after you have driven home and parked your car) inside the Etios. 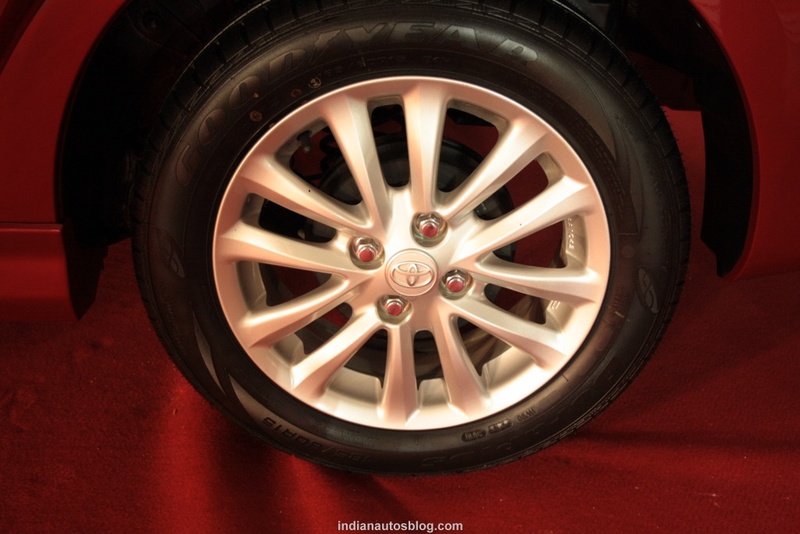 Toyota understood that Indian summers are not easy on the human body. Perhaps a chilled glove box could also have made sense. This is one element of the Etios that gives me a good feeling. 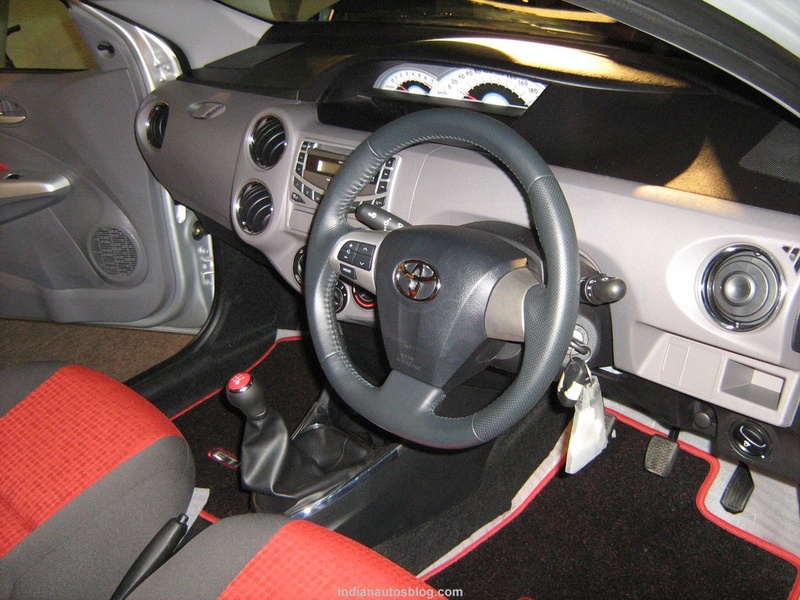 Toyota have used the world famous flat-bottom steering wheel on the Etios. * Very aggressive price point. I mean 7000+ orders in 6 days WOW! We were expecting the Etios to start at about 6 lakh rupees. Jaws dropped when the prices were announced. The above picture is a Etios with a rear spoiler and special bumper from the accessories. If Toyota introduces a diesel sedan at 6 lakh rupees, their production lines will catch fire. Toyota understands this very well and has only brought out the petrol. With the passage of time, it will equip the production line to handle the massive orders that the diesel vehicles will bring. * 90% localization planned by 2012 from the current 70%. Definitely a thumbs up! 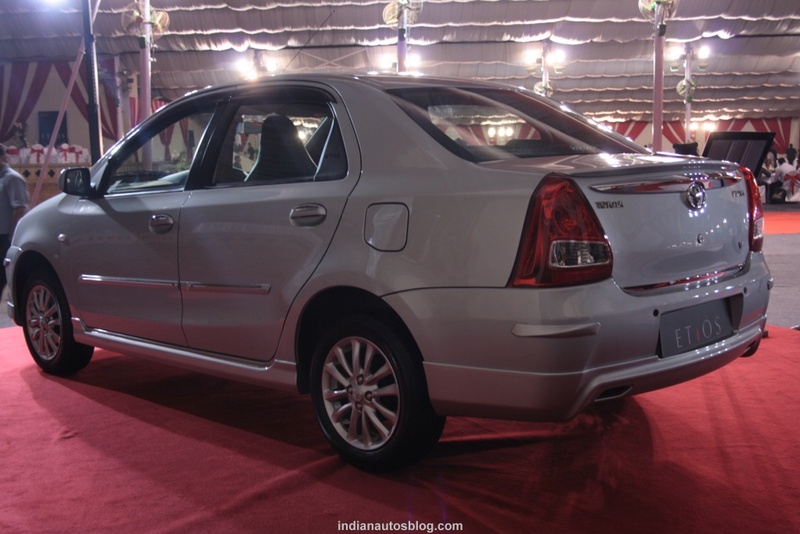 Can we expect the Etios to get cheaper? Probably not. Toyota doesn't want Indian Autos Blog to launch the hatchback before it does. 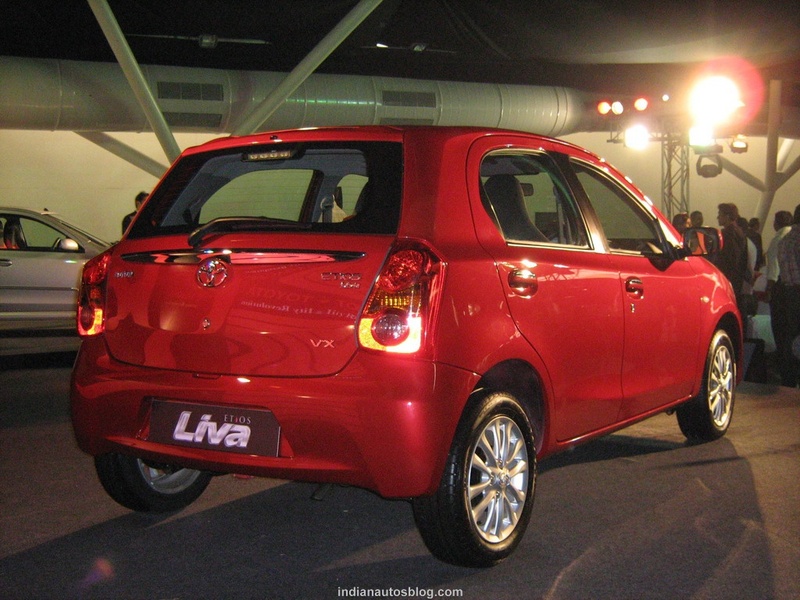 Come March 2011, and the Liva will go outdoors.